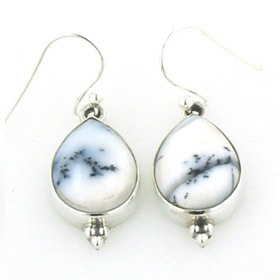 Dendritic agate tear drop earrings. 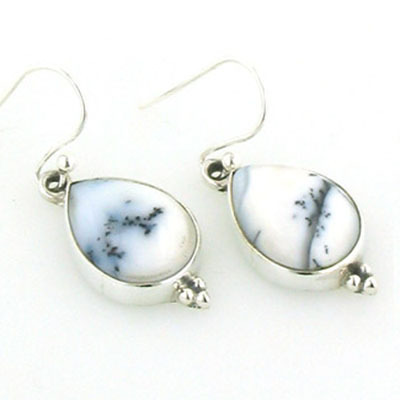 Classic, elegant and utterly irresistible, these are graceful earrings which will go with many outfits in your wardrobe. 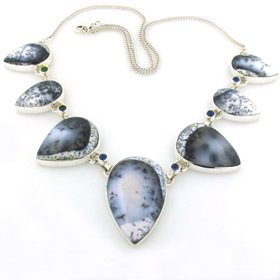 Dendritic agate is a dramatic semi-precious gemstone combining white, greys and black. 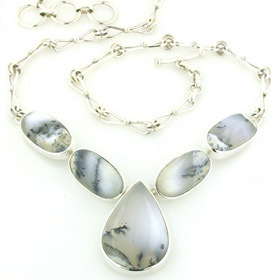 Nature has created fabulous designs in the stone which often look like snow landscapes. 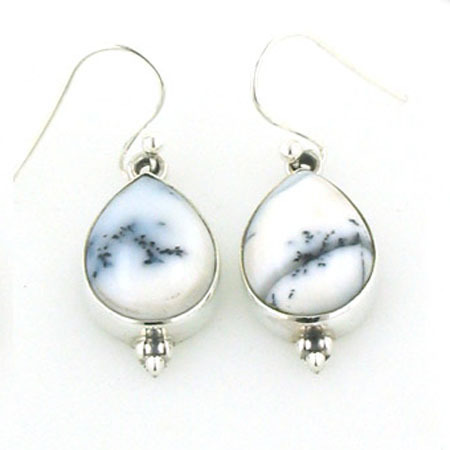 The earrings hang from a slim ball earwire and are set in sterling silver. 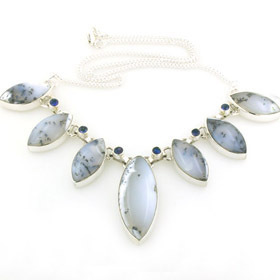 Wear with one of our statement dendritic agate necklaces.